Mississippi has the fifth highest rate of domestic violence in the country, according to the Violence Policy Center. In the state, the Center for Violence Prevention has worked for twenty-five years to give domestic violence survivors a safe place and a way out. MPB's Ezra Wall chaired a panel discussion at the Center, where survivors Myra, Sarah, and Jacqueline (not their real names) shared their stories with the audience. Myra said the violence she endured entered her life slowly -- then took over. Hannah Roberts was crowned Miss Mississippi earlier this month. 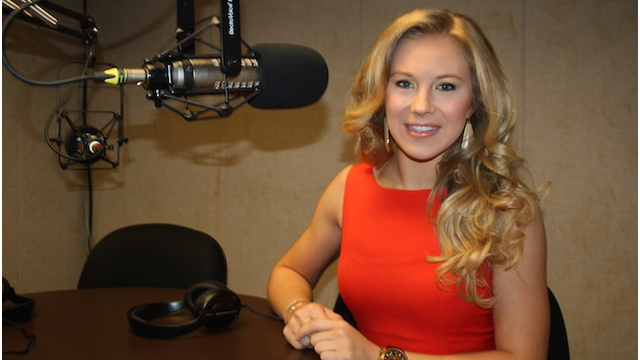 The 21-year-old Miss USM will travel to the Miss America Pageant in September. She stopped by to talk with us about her life since winning the pageant. Fitness Fest will be tomorrow in Jackson. The fun-filled event promotes exercise and wellness for kids and families. Sponsored by Parents & Kids Magazine, the event takes place at the Mississippi Trade Mart. We spoke with Kelsey Holleman from Parents & Kids about the Fest.